Bharatnatyam duo Kiran Subramanyam and Sandhya Kiran, called The Kirans, have taken up quite a bit of a challenge. The components of an RTP comprise Ragam, Tanam, the Pallavi (thematic line of the song), neraval (main aspect of pallavi, which elaborates a line to bring out its lyrical beauty), kalpana swaram (when musician brings out the richness of the raga bhava) and a thani avarthanam (percussion solo). A big fan of Balamuralikrishna, Kiran adds, “Long back someone suggested me an RTP. I went online and found an audio recording from 1975. I was unable to figure the composition out. Guru Balamuralikrishna was alive then. I took help from his students and his opinion. I asked him when he had composed this piece and he said he doesn’t know. He just had gone to stage and composed it there impromptu. He doesn’t know why he made such a composition. 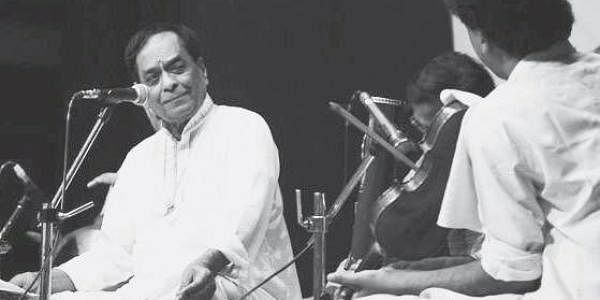 He said it just happened.” Balamuralikrishna is known for experimenting with Carnatic music. Sandhya Kiran adds, “He is an icon in the field. It will take two to three generations for someone like him to be born. He discovered new ragas and compositions on stage.” Kiran also enjoys experimenting within the traditional format. “We are working on new techniques like asymmetrical beats and cross rhythm. Many artistes fear experimenting with the art form. They worry what will the art fraternity say. I am quite sure that after this musical presentation, they will feel motivated to take a different approach to the art.” Ask what he likes about Balamuralikrishna and he says his smile. “He smiles while he sings. He has a signature smile. He makes complicated techniques simpler. When he performs, you feel the composition is simple, but when you study, you realise it is complicated.” Six musicians and nine dancers will be presenting an hour and ten minute long performance. Do not miss the show on Febraury 12 at A.D.A.Rangamandira, J.C.Road from 6.30 pm.